Your students will be sure to learn how to spell many of the "commonly misspelled words" with this center game. This game features a cover (for the manila envelope or file folder), a game board, setup and how to play instructions, a spinner, 45 game cards, and an answer key. This game is best suited for 2-4 players, but use the amount of players that works best in your classroom. This game is best suited for 4th, 5th, or 6th grades. Enjoy! Do your students still need to learn their multiplication facts? Try these bracelets out! Give each student two bracelets to wear, one on each arm. Let them wear them and talk about them for the day - even wear them home for more discussion. 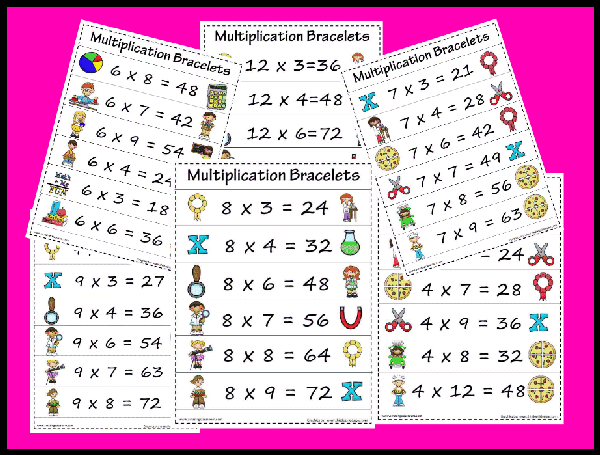 These bracelets were created for the more difficult multiplication facts to memorize. Enjoy! This Mother's Day book features a cover page for the book, as well as 26 additional pages - one for each letter of the alphabet. Each page starts out with the saying, I love my mom because.....and has a letter of the alphabet that the students need to begin their sentence with. For example: I love my mom because she Always takes care of me when I am sick. Students draw a picture to illustrate their reasons in the decorative frames. Enjoy! 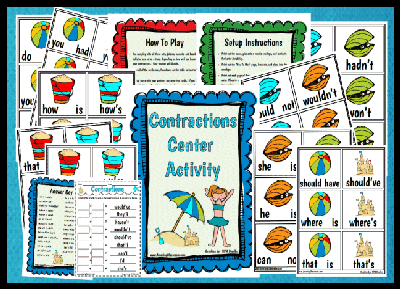 Your students will have tons of fun learning contractions with this fun, beach themed, contractions center activity. Students will turn over cards and try to make a match by matching the two words with their contraction. 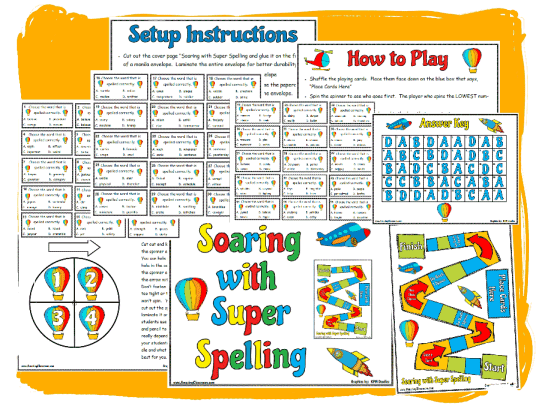 This center activity includes a cover page, setup instructions, how to play directions, 54 contraction cards, and two contraction activity pages to use as guided practice. Answer keys are included. Enjoy! 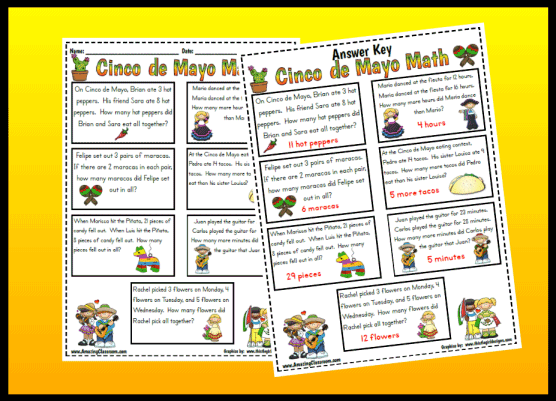 Your students will have fun practicing their single and double digit word problems with this Cinco de Mayo themed activity page. 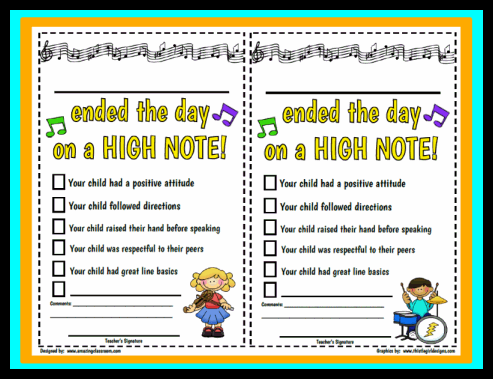 This worksheet is suggested for Kindergarten and First grade; however it could be used for lower level second graders. An answer key is included for quick grading. Enjoy! Vowel Sorting Short A or Long A? 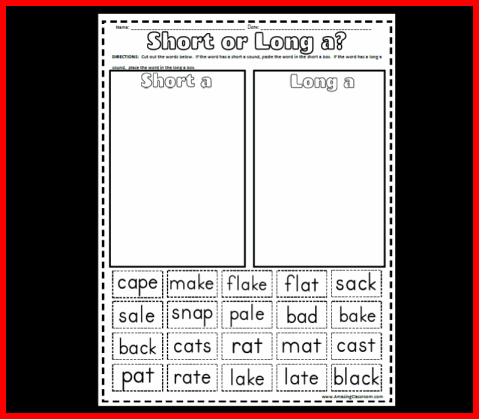 Give your students extra practice sorting words with the short a and long a sound. Students cut out the words, read them, and paste them in the correct box. Enjoy! 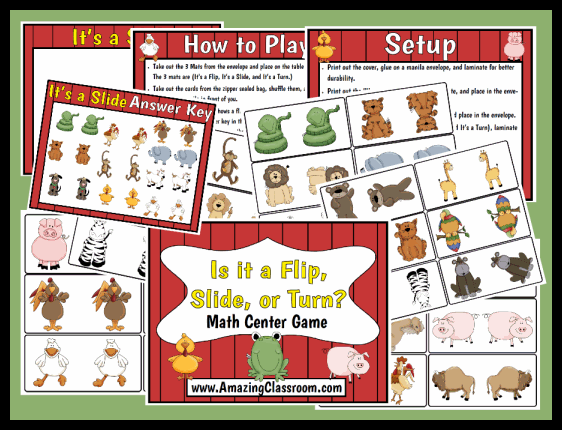 This cute and fun math center will be sure to give your students all the practice they need with flips, slides, and turns. This center includes a cover, setup instructions, how to play directions, 30 different playing cards (each with a flip, slide, or turn), 3 playing mats, and 3 answer keys. What a fun partner game to use in your math centers. Enjoy! 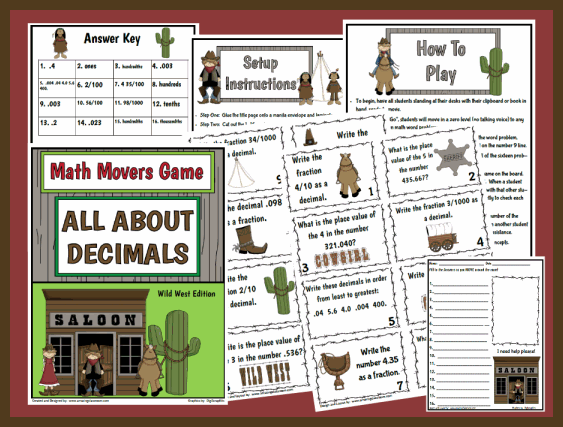 With this math movers game, your students will practice changing decimals to fractions, fractions to decimals, and identifying the place value of decimals and whole numbers. With this cute, wild west theme, your students will have fun playing this game. This game includes a cover page, setup instructions, how to play directions, the flash cards (game cards), write your answers sheet, and an answer key. Enjoy! 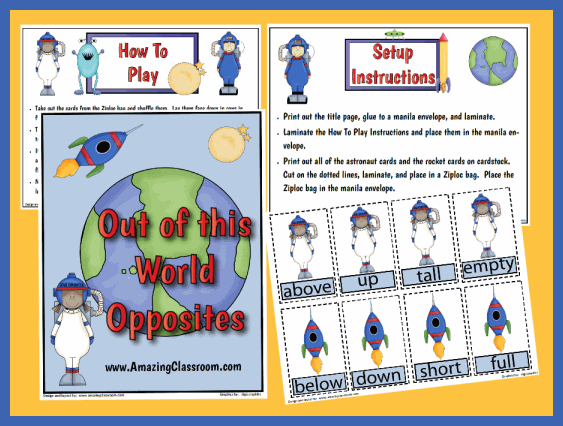 Your students will be sure to learn their opposites with this fun, space themed reading center or station activity. This center includes a title page, setup instructions, how to play instructions, 40 opposite cards, and an answer key for students to self check. Enjoy! Here is an award for those "good" notes home. Maybe you have a student that really struggles with being respectful to his/her peers. You notice one day they are doing a terrific job with this! Give this cute positive note to them so they can show it to their parents. Let their parents know about their good behavior that day! Two awards, one for boys and one for girls. Enjoy!